At Texas Inspected, we seek to provide the best home inspection service possible for our customers. While that's easy to say, we execute our mission: by going above and beyond the state Standards of Practice for residential inspections; by being highly available with short notice for our customers; by delivering clear, concise inspection reports; and by delivering a high level of service at a competitive price. We serve the Dallas/Fort Worth and North Texas area. This post is intended to discuss why you should hire me over other home inspectors. There is a lot of self horn tooting here, so be forewarned. The truth is, our home inspection process is not unique. Just about all home inspectors go through the same training and learn to provide the same service. Here's a dirt little secret. The majority of inspectors will provide the same quality inspection that I do. There are a few inspectors that may not be quite as good as I am. There are probably even some inspectors that do a measurably better inspection than I do. I haven't met them yet, but I have to assume that they exist. Better quality inspectors will go above and beyond (like using infrared to find issues or providing a termite inspection report) but the basic inspection process is going to be pretty close to the same. So if everyone is doing the same inspection that I am, why would anyone hire me over someone with an alphabetically more advantageous company name? Or someone that charges $50 less than I do? Here's why (almost): The inspection process is only a third of what we do. It's also the easiest third of what we do. The state of Texas even tells you exactly what you can and can't do during the inspection. That's why everyone is on pretty even ground when it comes to the inspection. The middle third of what we do is the report. Again, the Texas Real Estate Commission has decided on a format for inspection reports. However, there is some leeway here. Some inspectors will write an 80 page report for the same inspection that another person would write a 40 page report. Is the 80 page report twice as good as the 40 page report? Probably not, but I can guarantee that it's twice as long. Some guys use different reporting software that adds boiler plate language based on the different issues. Other inspectors are so afraid of lawsuits, they will write a sentence about the discrepancy, a paragraph explaining why it's a discrepancy (with code sources) and a paragraph explaining why it's not there fault that it's a discrepancy. I'm not saying that there's anything wrong with those types of reports, but I prefer to write fact based reports without a lot of disclaimers or legal language. I like my reports to be readable because I want them to be read and referred back to by the homeowner even after they close on the house. But, like inspections, most reports in Texas will have the same essential elements: a list of issues with photographs of the issues. So I'm not going to claim that my reports are a reason to hire me either (although I like my reports). It's the last third of the process that is the difference between me and most other home inspectors. We'll call this the explanation part of the process. This part of the process is not really taught to home inspectors, and TREC doesn't have much to say about it either. But to my mind, this is the most important part of the process and it's the part that I am really good at. In a nutshell, this is the time that I spend with the client at the house going over everything that is going to be in the report (and a few things that may not be). I might share maintenance and repair tips, discuss contractors, even talk about the home buying process after the inspection. I have spent longer discussing the inspection with clients than it took me to do the inspection and write the report. I am not going to hustle a client off because I have other things to do. 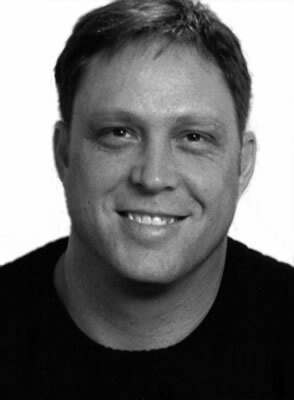 I am going to address every concern and question the client has (and sometimes the concerns and questions of their agents, family members, in-laws and prospective neighbors). The report serves as a visual reference for the discussion I had with the clients about the house. This is what differentiates me from the pack and that is why I am the guy to call. That is also why realtors like to refer me to their clients. I can explain things in an objective way with the knowledge that I have no stake in the buyer purchasing the house. I want the client to have all of the information they can get to help with their decision making process. The first question a lot of clients ask me is "Did the house pass?" I have to explain to them that this isn't a pass/fail type of inspection. It's mostly made up of gray area, with some parts grayer than others. Once I discuss the issues with them, they will have to decide what things they want the seller to address, or if they want to pass on the house and keep looking at other houses. That is extremely rare and is usually the result of the seller not being willing to address a major issue. For the record, there are two other inspectors in my area that do a very good job with the post-inspection explanation process. I'm not going to say who they are here, but if you ever call me and I can't fit you into my schedule, these are the guys I am going to refer you to. Anyway, I went on longer than I intended to, but I really wanted to explain why I'm proud of what I do and the value that I provide my clients. As always, I hope you will go to TexasInspected.com the next time you need to have an inspection done. A couple of months ago I came across a post from a DFW home inspector that surprised me. This gentleman claimed that using infrared in the course of a home inspection was a gimmick and a marketing tool with no real value. His assertion was that it requires hours to perform an infrared scan correctly and that no home inspector would spend the time to do this. That really sums up my feelings on the opinion of this guy, but since I have a little time, I might as well expand on why he is so off base. First let me give you a little background. I am a level III infrared thermographer. I have a company that travels the US doing electrical infrared scans of factories and sawmills as well as roof scans of hospitals, hotels and other flat roof buildings that have moisture issues. Not to toot my own horn, but I know a little bit about infrared thermography. The inspector that wrote the post that I disagree with seems to be under the impression that the entire house has to be heated up (or cooled down) for hours before a scan can be performed, and it has to be done at night (or in the morning). Sorry, it's been a couple of months since I read the post and it was so crazy I didn't commit it to memory. I think this guy was thinking of an energy audit (although he didn't get the procedure for that correct either). This can take a while to perform and involves pressurizing the house with a blower. Infrared is one of the tools used to see where the energy is leaking in these audits. I don't do these because they take a while and I feel like I can't charge what my time is worth for something that doesn't have that much value (in my opinion). There are guys that do this procedure better than I can for cheaper, so I leave them to it. There are also moisture specialists that will use a spray rig on the outside of the house, then look for moisture intrusion on the inside. I have never had any desire to do this. Neither of these procedures have much to do with a real estate based home inspection. I use infrared at every home inspection. I have to, because without it I can't justify telling someone that I did everything in my power to perform a good inspection. Here's my procedure: I will usually do my infrared scan last, after I have tested all of the plumbing fixtures and the AC and/or heat have been running for a while. Then I go over the whole house with the IR camera. This takes 10 to 15 minutes. If I find anything that looks like moisture in the walls, I use my moisture meter to confirm that it's wet. Electrical issues are investigated as well. I rarely find electrical issues in the house itself except for the occasional hot outlet with a loose connection. Most electrical load issues can be identified at the breaker panel. Insulation issues are noted and confirmed from the attic side when possible. How often do I find moisture in the walls or ceiling that weren't apparent to visual inspection? I would say in about 15-20% of inspections. So that's about one in five inspections that have a plumbing, drain, roof or HVAC leak in the walls or ceiling that are not being caught by inspectors not using infrared (correctly). To put it another way, I find issues with infrared that I wouldn't find without infrared often enough that I can't believe that other inspectors are not using infrared. Here's the crazy part. 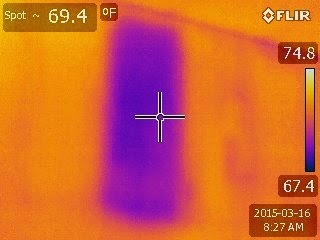 I don't charge extra to use infrared as part of my inspections. My camera cost about $12,000, my training and certification cost about $8,000. So why am I not upselling this service? Because it's not your problem. I have to drive my truck to perform inspections. I'm not going to charge you an extra nickel to pay for my driver's license renewal. I don't charge extra to use any of my tools in an inspection. I bought the tools to do my job better, not to try to make an extra $50 on inspections. I know it's really subtle, but if you look closely you can barely make out a huge purple rectangle in the wall that is missing insulation. And this is under the most challenging atmospheric conditions. When its hot or cold outside, this thing would really stand out. And yes, it drives me crazy to know that there is a piece of insulation missing in my wall, but what are you going to do? This is a picture OF the camera, not a picture FROM the camera, so it looks kind of crappy, but you can still clearly see the moisture in the ceiling. There was no evidence of this leak to the naked eye (but there will be eventually if it isn't fixed). Bear in mind, infrared is not the same as magic X-ray glasses. It is essentially useless for finding leaks in shingled roofs. It is not practical to use to find slab plumbing leaks. It won't show gas leaks (there are specialized cameras for this used in the oil and gas industry). It will find a lot of plumbing problems, insulation problems, electrical problems. I've even used it to find fire ant nests in the walls, but the conditions have to be perfect for this. So I would recommend using an inspector that uses infrared as a part of his or her inspection process. I would also recommend making sure that the inspector has at least a level I certification. This is pretty basic, but is still better than no education at all and shows a commitment to understand what they are doing. If you find an inspector you like that wants to charge extra to do an infrared scan of the house, I'm not going to tell you not to use that inspector. But you may want to ask if there is an upcharge for them using their ladder, screwdriver, flashlight, etc. I wouldn't use a mechanic that charges extra to use the "good" tools, but that's just me. 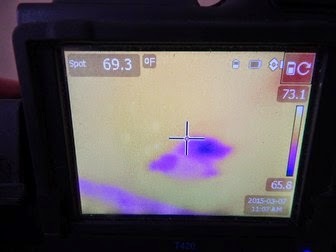 Hope this helps understand the practical uses of infrared in the home inspection field. For some people it might be a marketing ploy, but for me its an important part of my process. I hope you will go to TexasInspected.com the next time you need to have an inspection done. You found a great house, put in an offer, got it accepted (no mean feat in today's market) and scheduled an inspection. Now what? This post is going to cover most of what will happen from the time you call me to the time you show up at the inspection walk-through. Step One: While we were on the phone, I suggested some dates and times for the inspection. What I need to determine is the best time for you to get to the house to check it out with me. Once I have that, I can figure out what time I need to get there to do my thing (see below) so I will be ready for you when you get there. You are always welcome to come early, but it can be boring watching me open windows and crawl around in the attic. Step Two: As soon as our phone conversation ended (or even during the conversation) I was looking up the details of your house. I'm looking for details that will help me know what kind of issues might be present, like: the age of the house, the foundation type, the construction type (EIFS stucco requires some specialty tools that I don't keep in the truck), utilities (is there gas? is there a septic tank) and the square footage so I can estimate how long the inspection will take. I'll also check out the seller's disclosure if it's available to see if there are any known issues I should check out. Step Three: I will set up the inspection and figure out how to access the house. Most of the time this will be through a showing service, but occasionally I will deal directly with the listing agent or seller. Either way, I will get the access I need and you (and your agent) won't need to do anything special. Step Four: I will show up at the house at the inspection time (or a little before in most cases). Once there, I will open the house, turn on the heat or AC (depending on the time of year) and start looking around the outside. This will involve inspecting the slab, walls, roof, grade, porches, decks, pools, septic tank, etc. I will also perform a water meter test to check for possible leaks in the slab or supply plumbing. Step Five: Now I'll get started on the inside. First step is usually to turn on the dishwasher, as they take a while to complete a cycle. While I'm in the kitchen I'll set the oven to 350 so it can start warming up. Then I'll start checking vents. The AC (or heat) should have had plenty of time to start working, so I will check the air flow and temperature at all of the vents. Then its back to the kitchen to check appliances and the range hood. Once I'm done in the kitchen I will find the water heater and the furnace. If either of them are in the attic I will check the rest of the attic for insulation issues or problems with the roof structure. The water heater will usually be in the garage, so I'll go ahead and check the garage door opener while I'm in there. Then I will go room to room checking windows, outlets, floors, walls, ceilings, plumbing fixtures, etc. Step Six: Finally its time for the above and beyond stuff. If I saw anything I didn't like related to the foundation, I'll get out the ZipLevel foundation evaluator and start checking the floor in different areas to see if there are any slopes, high spots or low spots. Then I'll fire up the Infrared Camera and walk through the house again, focusing on hidden plumbing leaks, missing insulation or electrical issues. Then I'll check the sprinkler system if there is one (and we don't expect freezing weather). Step Seven: You probably arrived during step six. If not, I'll spend a couple of minutes putting my notes together and put most of my tools away. Once you arrive, I should be ready to walk around with you, showing you the issues I found and explaining their severity (or lack there of).Remember, this isn't a pass/fail type of inspection. I am working for you (within the confines of the Texas Standards of Practice) to give you the best information I can on the current state of the house. I will tell you if I think something is unsafe or might hinder the re-saleability of the house, but at the end of the day, I want you to know what you need to know before investing in your new home. At this point I will answer any questions you may have, we can measure the refrigerator space, I can talk football with your in-laws and we will close the house up. Step Eight: You will pay me (or we will make whatever arrangements need to be made) and I will head to the office to put your report together. I'll have photos of the issues we discussed, information about the HVAC system and appliances and, in some cases, recommendations for things that other contractors might need to investigate or quote. Then I'll email the report to you (and your agent). Step Nine: Yes, there is a step nine. This step is where you read over the report and call me with any questions you might have. I'm happy to say that step nine doesn't happen every time, and I like to think it's because I did such a good job explaining things in step seven. However, step nine is always there for you. I'm always a phone call or email away and I'm happy to discuss anything you might be concerned about. So there are the nine steps to get you from the offer being accept to picking out new drapes. I hope you will go to TexasInspected.com the next time you need to have an inspection done. Here is a short list of things that sellers can do to prepare their home for the inspection. 1: Put the pets away. I love dogs (and some cats find me tolerable) but they can get underfoot when doing an inspection, and if the buyers have small children they may get freaked out. Crate them if possible or take them for a drive while we are scheduled for the inspection. 2: If possible, be scarce. Yes, that sounds harsh, but it's what your agent is too nice to say to you. I honestly don't mind you being there at all. However, if you are there when the buyers arrive, it can make them feel awkward. In some cases the buyers and sellers will have a great discussion about the house and everything will go great. In most cases, though, the buyers are trying to picture themselves living in this house, and it's hard to do if you are there. And they can feel shy about asking questions that they should be asking because you are there and they don't want to offend you. So if possible, take the kids to a movie and let us do our thing. I promise I won't rifle through your drawers or leave your back door unlocked. I'm a licensed, insured professional and I spend more time in other people's houses than my own. 3: Make sure I have access to the attic, water heater, breaker panel and all of the rooms in the house. I hate it when I'm inspecting a great house and everything is going great until I go into the garage and discover that a car is blocking the attic access. Now I can't inspect the attic, insulation, ductwork, furnace, dryer vent, etc. So what should have been a good report is marred by a big question mark. Remember, I'm not supposed to move your stuff to get to the things I need to get to, so make me a little path and everyone wins. 4: If you have are having an issue with something in your house, leave me a note. I'm going to find out anyway, but if you leave a note it tells the buyers that you know there is a problem, you are addressing the problem and they will feel better about the problem because everyone is aware of it. If you had a problem that was fixed, you may want to let me know about that as well. For example, if the refrigerator water line was leaking and you fixed it, let me know. I'll probably still see moisture in the wall where the leak was, but if you let me know that it was addressed I can let the buyers know that I found moisture in the wall from a previous leak that you repaired. Now you look good, I look good and the buyers feel good. A triple win! 5: Tidy up. Again, it really doesn't bother me in what state you leave your house, but you don't want to give the buyers a reason to start feeling buyers remorse while they are in their option period. Try to keep it in the same shape that it was in when you were showing it and everything should be fine. 6: Leave some cookies out for the inspector. This has never happened, but I'm trying to start a new trend. Inspectors have to keep a certain amount of girth, otherwise our toolbelts will be constantly falling down. As professional home inspectors, we see a lot of issues, big and small. We also see a lot of the same issues from house to house that can be headed off with a little preventive maintenance. Here are 3 common things we see and what you can do to keep them off your inspection report. Replace refrigerant line insulation - The hot Texas sun tends to bake the pipe insulation around the AC unit's refrigerant line, causing it to crack and fall off. (Note: Good insulation around your refrigerant line will really help your AC unit perform more efficiently). Pipe insulation can be found at any home improvement center, and it's an inexpensive way to keep the cold air cold. 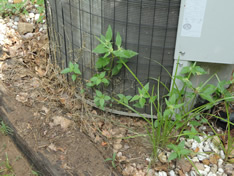 While you're messing around with the AC unit, go ahead and clear any vegetation or debris from around your AC condenser. If the coils look dirty, give them a hose down. Use a regular garden hose; a power washer can damage the fins on the coil. Trees, shrubs and bugs - Trim any shrubbery, trees or vegetation that is touching the house. We don't need to make it any easier for insects to access your home. Also, if possible, make sure your wooden fence isn't touching the exterior of your house for the same reason. For houses built on a slab, try to keep the dirt, grass and mulch 6 - 8 inches below the brick line. In other words, have 6 - 8 inches of concrete slab showing around your house. This will help keep bugs off the brick and keep water from ponding and wicking into the walls. 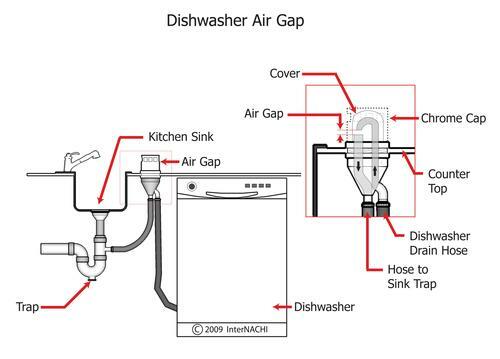 Dishwasher drain - Take a look at how your dishwasher drain leaves your food disposer. It should leave the disposer housing and head uphill, ideally to the level of the bottom of the countertop, before heading to the dishwasher. That will keep gunk from the disposer from backwashing onto your clean dishes in your dishwasher. If your sink has an air gap for the dishwasher (the thing that looks like a soap dispenser with no soap), make sure it's plumbed. 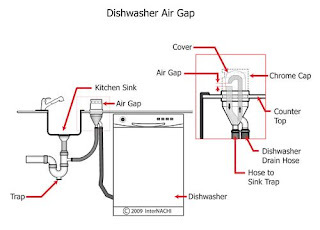 Sometimes when a dishwasher is replaced, the air gap is bypassed. Obviously as a home inspector, I think anytime is a good time to get an inspection. Buy a new dog, get an inspection. Paint the kitchen, get an inspection. All of the issues you are worried about "coming to light" after a buyer submits an offer are going to show up in a decent inspection. Not knowing about the problems isn't going to make you not have problems, it just makes you ignorant of the problems. I'm sure you heard the expression "Fore-warned is fore-armed", but it goes a little deeper than that. The vast majority of buyers are going to have the house inspected during the offer process. The issues are still going to be there, whether you know about them or not. So let's say you didn't bother with the pre-listing inspection and the buyer sends an inspector over. Now that the issues have been identified by the buyer, it's time to start negotiating the repairs. Here are some very common deficiencies and their contractually required remedies. Broken doorknob - replacement by licensed locksmith. Outdoor light fixture loose - repair by licensed electrician. Missing knockout plug in main breaker panel - repair by licensed electrician. Replace insulation around air compressor refrigerant line - repair by licensed HVAC technician. 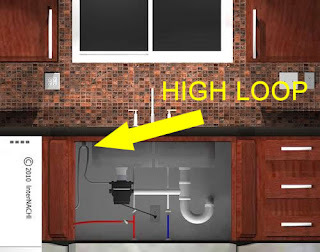 Dishwasher lacking high loop drain - repair by licensed plumber. Roof repair - estimated by Joe's Roof Repair, $3,000 (to come off sales price). Now imagine you got that pre-listing inspection and you knew about these issues before listing the house. Broken doorknob - trip to Home Depot. Outdoor light fixture loose - local handyman. Missing knockout plug in main breaker panel - trip to Home Depot. Replace insulation around air compressor refrigerant line - trip to Home Depot. Dishwasher lacking high loop drain - trip to Home Depot. Roof repair - compile a few estimates, seems like $1,500 is a much more accurate estimate. So for less than $100 at Home Depot, we have avoided hiring a locksmith, an electrician and a plumber. And we got reasonable quotes for that roof problem that we can share with the buyer to help in the negotiation process. Starting to make sense, isn't it? Initially it does look a little counter-intuitive to go "looking for problems", but once you finally get a buyer for your house, do you really want them to immediately see a laundry list of issues they have to deal with? As a real estate agent, I have never had a buyer not get an inspection. If it's going to happen anyway, be pro-active and find out what the inspection report is going to say before the house is even on the market so that you can be prepared.